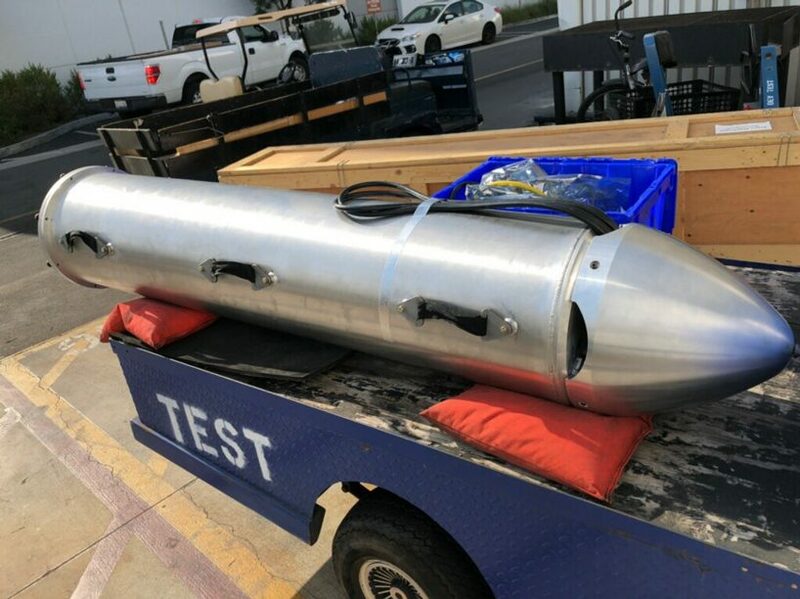 in a bid to save the soccer team trapped in a northern thailand cave, elon musk has converted a falcon x rocket tube into a kid-sized submarine that he hopes could go some way retrieving the remaining young boys and their football coach. the spaceX CEO and founder revealed on twitter over the weekend that his team had designed a version of the rocket, using ‘the liquid oxygen transfer tube’, which could function as an escape pod for the group of thirteen who disappeared on june 23 after walking into the cave system and getting stuck after heavy rains caused flooding. 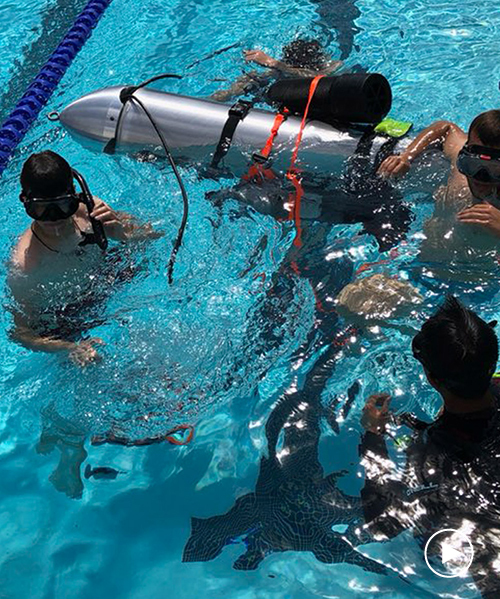 elon musk tweeted that the tube would be ‘light enough to be carried by 2 divers, small enough to get through narrow gaps’ and ‘extremely robust.’ he also tweeted a series of videos showing a team of divers testing the pod in the swimming pool at palisades charter high school. since fans appealed to the multi-billionaire on twitter last week, calling on him to come up with a solution to help save the trapped group, he has also dispatched engineers from spaceX and his drilling company, the boring company. musk hopes the experts could assist thailand authorities in their plans to drill holes in the cave’s exterior, however these plans were quickly disregarded due to concerns over the possible impact. UPDATE: it has been confirmed that an 11th boy has been rescued from the cave meaning only one remains and his football coach. musk’s kid-sized submarine remains unused. From footage released claiming to be of divers in the caves, the rocket sub is just too big to fit through the narrow cave openings. Still an admirable attempt from Elon and his team though. More impressive is the Thai emergency services looking like they’ll bring everyone back safely with less tech and resources, those guys are absolute heroes!